Group photo of the two delegations led by H.E. Shri Nilanjan Sanyal, Secretary, Department of Ayurveda, Yoga & Naturopathy, Unani, Siddha, Sowa Rigpa and Homeopathy (AYUSH), Government of India and Datuk Dr. Noor Hisham bin Abdullah, Director General, Ministry of Health, Government of Malaysia, at the 2nd Bilateral Technical Meeting on Cooperation in the field of Traditional Systems of Medicines between India and Malaysia, on March 26, 2014. 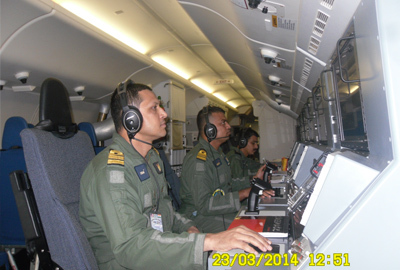 Crew of the Indian Navy aircraft P8-i manning radar and electro optronic stations during Search and Rescue Mission over sub sector S-3 in the Southern Corridor on March 23, 2014 as part of the International Search and Rescue Mission under Malaysia to locate Malaysian Airlines flight MH 370. 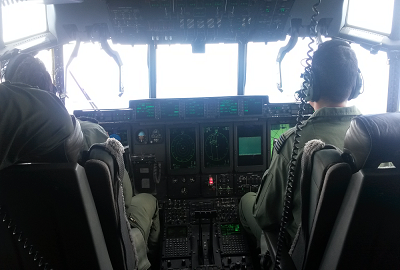 Indian Air Force aircraft C-130 of the Indian Air Force during their Search and Rescue Mission in the Southern Corridor over Indian Ocean on March 23, 2014, as part of the International Search and Rescue Mission under Malaysia to locate Malaysian Airlines flight MH 370. 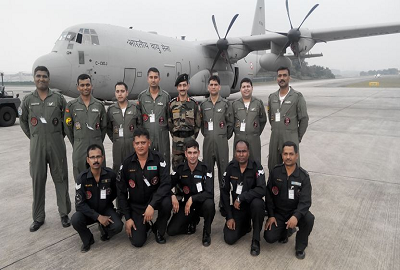 Crew of Indian Air Force aircraft C-130 Hercules in Subang Airport in Malaysia on March 21, 2014, to join the International Search and Rescue Mission over Indian Ocean to locate Malaysian Airlines flight MH 370. H.E. 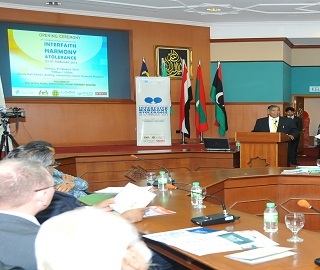 Shri K. Rahman Khan, Hon’ble Minister for Minority Affairs, India delivering his keynote address at the inauguration of the International Seminar on Interfaith Harmony & Tolerance and Award ceremony 2014 at International Islamic University Malaysia on February 4, 2014.